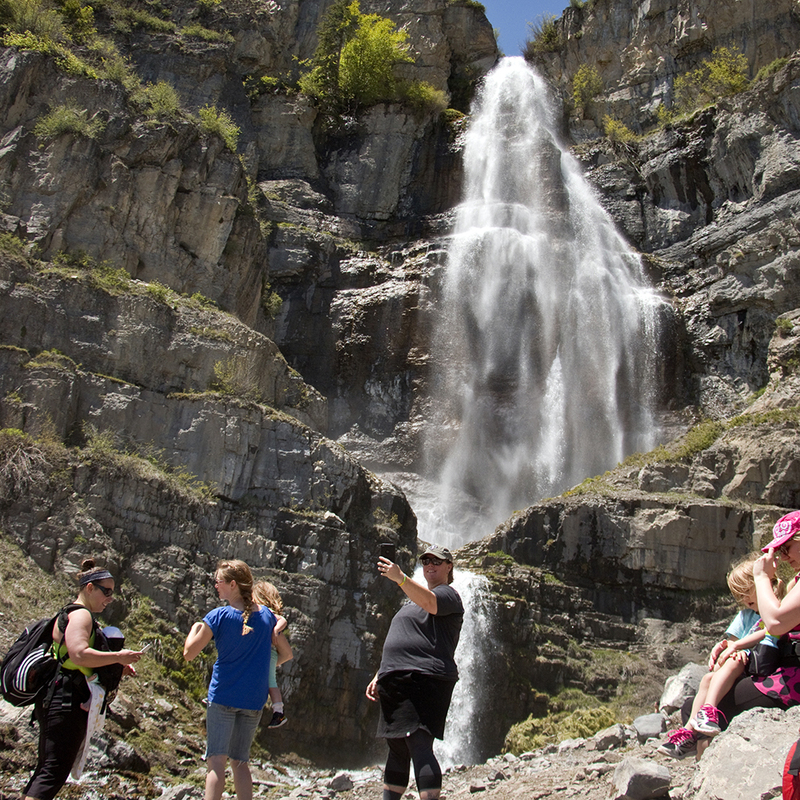 Stewart Falls is a real gem in Provo Canyon; a 200 ft, cascading waterfall on the backside of Mt Timpanogos. 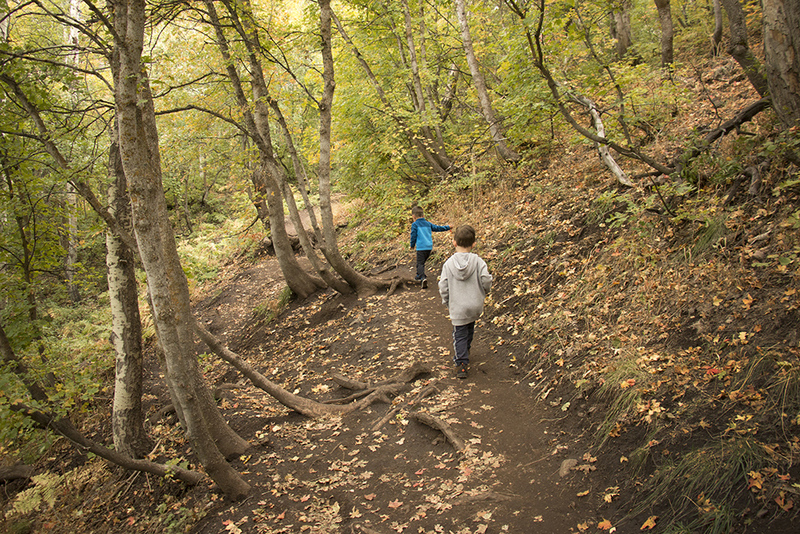 The trail is a little on the long side for young kids at 4 miles roundtrip (depending on your child of course! 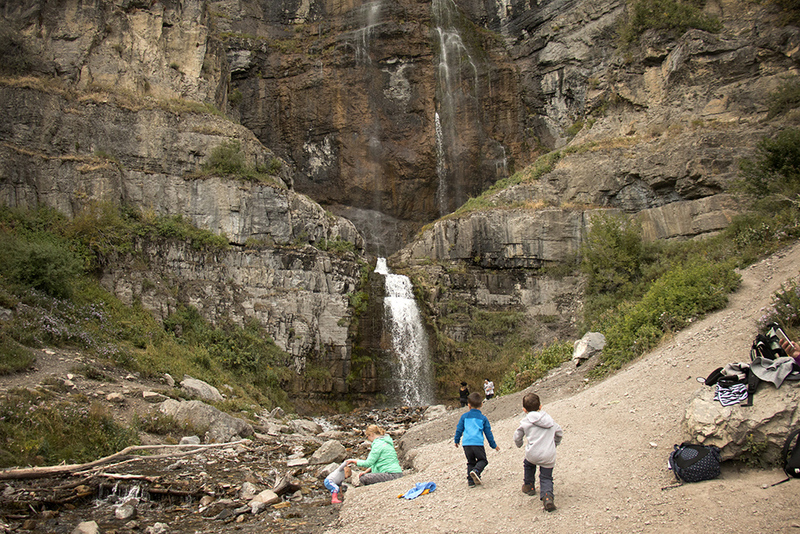 ), but it’s really beautiful and totally worth it to get to play in the cold water below the falls. 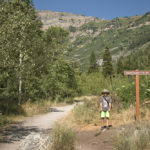 The first part of the hike takes you through a beautiful grove of shady aspen before opening up to a trail that shows panoramic views of Provo Canyon. From there you will end up hiking along the side of the mountains where there’s a drop-off on one side. Once you get to the falls, you will have a narrow, somewhat steep trail down to the bottom. I’ve seen preschoolers navigate it with just some handholding. The trail is a good mix of climbing and descent. Late spring and summer are the best times to visit Stewart Falls since that is when there’s the most water and it’s refreshing to play in. The trail itself is still gorgeous in the fall with changing colors, but there’s less water at the falls. Some will hike the trail in the winter when it’s snowy, but the canyon is technically closed to ensure safety in the event of an avalanche. There was a big avalanche there in winter 2017-18. There’s plenty of parking at the Aspen Grove trailhead along with a few picnic tables and vault toilets. Dogs are welcome. Please remember to pack out your trash, including dirty diapers. The creek beneath the waterfall is shallow and lots of fun to play in. 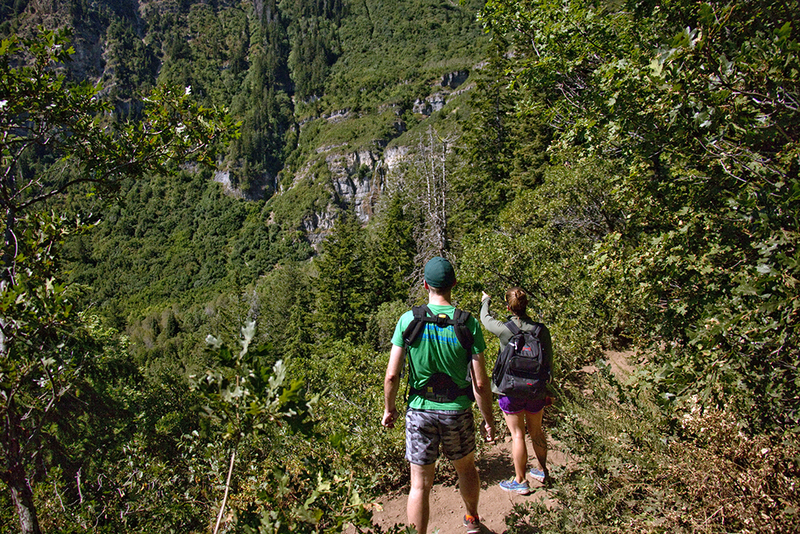 There are panoramic views of Provo Canyon on a few spots on the trail. The waterfall is over 200 feet high and it can be really loud. If it’s a breezy day, a light spray can be blowing too from the falls. It’s refreshing on a hot day, but toddlers aren’t usually a fan. 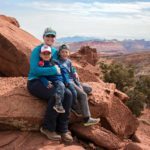 One section of the trail is made up of pretty big rocks, handholding is recommended for littles. We’ve seen deer, snakes, and chipmunks on this hike. This trail is closed in the winter because due to potential avalanche. 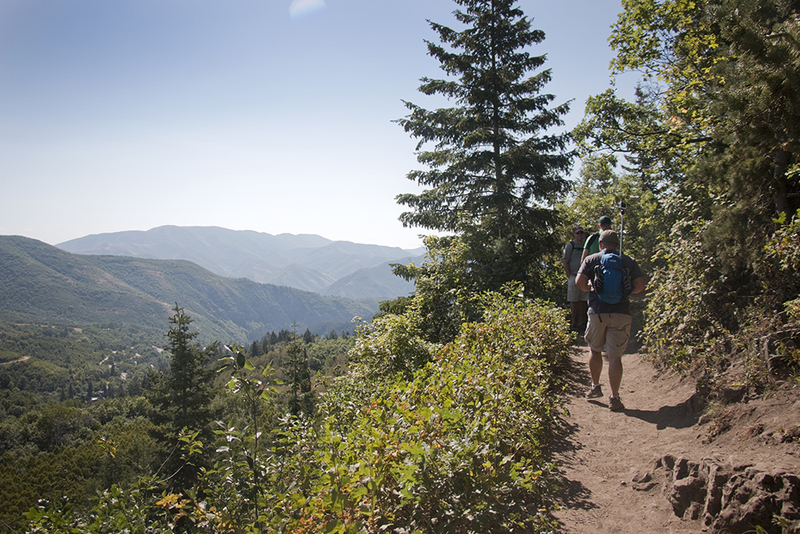 The trailhead is managed by the Unita-Wasatch-Cache National Forest. There’s a box of envelopes next to the restrooms where you need to deposit $6 into the box and record your license plate number. Rangers do check, especially on busy days like weekends and holidays. From I-15, take the exit for UT-52/800 N toward US-189. Use the middle lane to veer slightly left toward 800 N. Continue onto 800 N, heading east. From the left lane, veer onto US-189/Provo Canyon Rd. 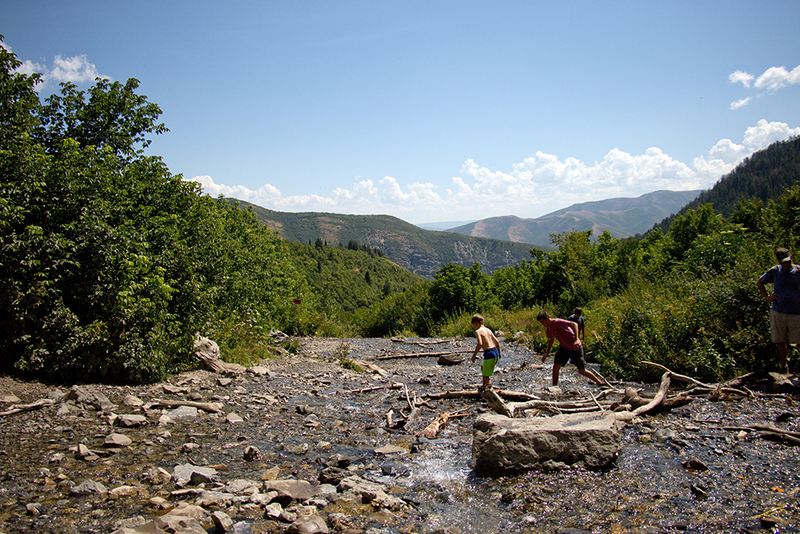 Drive into Provo Canyon for almost 7 miles, then turn left onto UT-92 toward Sundance. 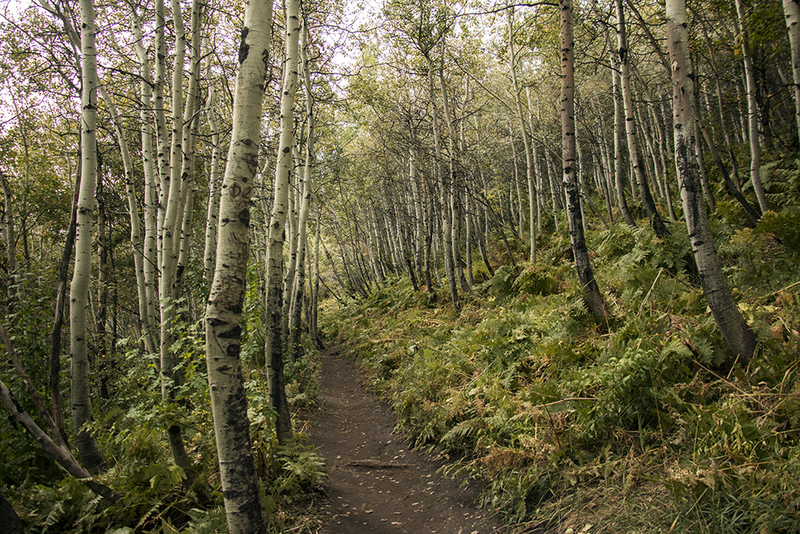 After approximately 4.7 miles, you’ll turn left into the trailhead parking lot, it’ll be just past the Aspen Grove Conference Center.